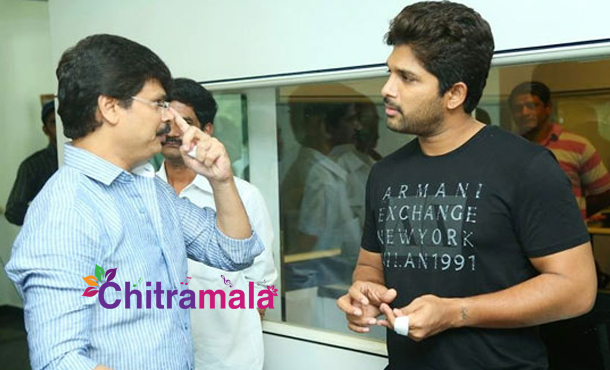 Stylish Star Allu Arjun and Director Boyapati Srinu have delivered Summer blockbuster Sarrainodu. The duo has been to Simhachalam to offer prayers to Lord Lakshmi Narasimha. After performing Darshan and other Puja related activities, on their way back the duo was stuck in a lift. In an unfortunate incident, both of them had to stuck in a lift as the lift experienced an overload. For a while, the incident created panic in everyone. But responding immediately, the Temple officials have destroyed the lift door and helped them to come out. Meanwhile, the security gaurds have controlled the fans who turned in large number to have a glance of their favourite actor and director. Sarrainodu movie has entered hundred crore club and stood as a biggest hit in the career of Allu Arjun. His next film is yet to be finalized.